In order to stem the slide in the Turkish lira, which fell to 4.93 against the U.S. dollar on Wednesday, the Central Bank of the Republic of Turkey (CBRT) raised the late liquidity window by 300 basis points to 16.5 percent from 13.5 percent after an extraordinary meeting of its monetary policy committee. The bank kept other rates unchanged, describing the move as a "powerful monetary tightening" policy and saying it's ready to continue using all instruments. Following the CBRT's decision, President Recep Tayyip Erdo?an has reiterated Turkey's commitment to follow free market rules and institutions and emphasized that the country will abide by global governance principles on monetary policy, reassuring markets and investors. With these developments, the lira reversed losses after plunging earlier as much as 5.2 percent to a record low. Upon the CBRT's move, the lira recovered to 4.55 against the U.S. dollar and 5.33 against the euro after the day's record lows of 4.93 and 5.74, respectively. At the beginning of the year, the dollar/Turkish lira rate was 3.78 while the average rate was 3.65 last year. 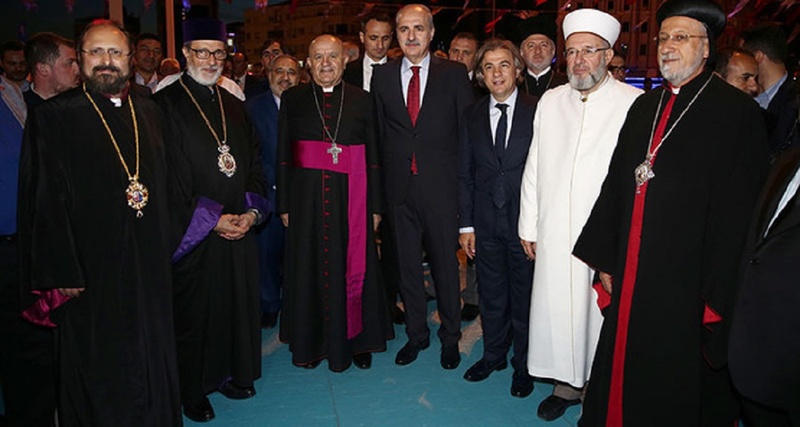 Speaking at a ceremony in Ankara yesterday, in which Justice and Development Party (AK Party) announced its declaration for June 24 elections, President Erdo?an once again reiterated that the government will decisively work to narrow the current account deficit. "The main goal is to keep inflation at single digits. We will take measures to lower cost pressures. 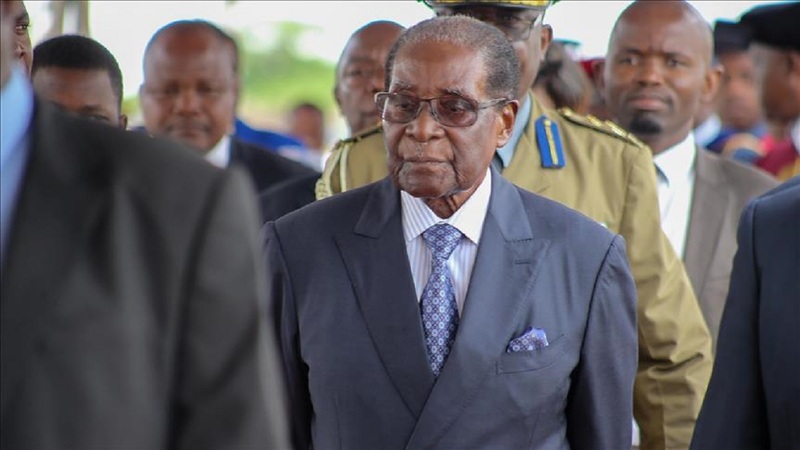 Instruments for currency liquidity will be deployed when necessary," the president said. He also stated that a mechanism to manage corporate debt in foreign currency will be established. "We will maintain an economic structure based on the free market," Erdo?an pledged, referring to the post-election program. The consecutive losses in the lira in May came as a result of the current account deficit pressures, fiscal expansion and widening budget. Since the country is financing the current account deficit by investments from abroad, investors who expect higher returns on their investments have been selling their TL-denominated assets, which in the end cause major losses in the currency. Therefore, the statements that back the CBRT's decision, policies to mitigate inflationary risks and currency account deficit, are what the markets expected. In that regard, President Erdo?an's statements were perceived as an address to the markets. Moreover, another comment from Deputy Prime Minister Mehmet ?im?ek, who is in charge of the economy, also highlighted the support for the central bank's decision. "The central bank's governor [Murat Çetinkaya] and members of the monetary committee have my full backing in doing what's necessary to stem the slide in lira and achieve price stability," ?im?ek said on his official social media account. "Turkey has fixed problems in the past and will do it again." Minister ?im?ek also underscored that none of Turkey's macroeconomic problems are insurmountable and the Turkish government "is committed to maintaining fiscal discipline, accelerating structural reforms, including macroprudential measures to reduce the current account deficit and help the central bank's disinflation efforts." In 2017, Turkey's current account deficit hit 47.1 billion according to data from the central bank. The country's budget deficit/GDP ratio was around 1.5 percent, which was below the targets noted in the country's medium-term program. According to the medium-term program, the budget deficit/GDP ratio target is 1.9 percent this year, 1.8 percent next year and 1.6 percent in 2020. 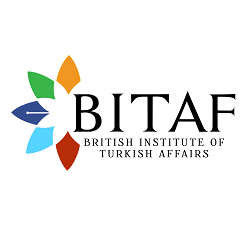 Meanwhile, ?im?ek and Çetinkaya will travel to London next week where they will meet with the representatives of financial institutions and foreign investors. The two meet with the representatives of financial institutions in Istanbul on May 28, while in the aftermath they will depart for London on May 29 and meet with the executives of the foreign funds and businessmen. The government will pertinaciously continue its fiscal discipline, Finance Minister Naci A?bal said yesterday, suggesting that the government is committed to meeting budget targets for 2018 and will take the necessary steps in this regard. "Our main target is the continuation of public finance in accordance with the financial discipline in the medium term. Fiscal policy will support the monetary policy. For this, we will establish a tight fiscal policy," the minister said. He added the government will not make taxation adjustments that cause inflation. Turkish businesses have welcomed the CBRT's move to halt the depreciation of the Turkish lira by raising the late liquidity window interest rate. While Turkish business representatives approved the bank's move, they have also called for fiscal tightening. Turkish Exporters Assembly (T?M) Chairman Mehmet Büyükek?i said that the association continues to believe in the Turkish lira and uses it in foreign trade. The central bank's Monetary Policy Committee's interest rate decision was the right one, he stressed. "If required, similar steps should be taken in the coming days," he added. Turkish Industry and Business Association (TÜS?AD) Chairman Erol Bilecik, said the CBRT's move had relieved the market, at the association's high advisory council meeting in Istanbul on Thursday. He also said Turkey needs to prioritize reforms to solve structural problems. Tuncay Özilhan, the president of the TÜS?AD High Advisory Council, said the CBRT needed to take steps independently to fight against inflation. "We welcomed the prime minister's and president's speeches aimed at fiscal tightening and stability after the bank's move," he said. Özilhan also stressed the necessity for fiscal tightening. He also stressed structural reforms and fiscal tightening needed to be reinforced. Although rate hike has been supportive for the lira, the dollar/Turkish lira exchange rate was still volatile yesterday with an upward trend. The dollar opened the trading session yesterday at 4.70 and was trading around 4.77 at 4:28 p.m. local time. With this picture in the background, analysts underscore the necessity for additional measures to tackle the current account deficit and inflationary pressures. Referring to the early gains in the Turkish lira, Enver Erkan, a research expert at GCM Forex, said the important factor to monitor is the development of pricing mechanism in the market and noted the volatility in yesterday's session, which might continue in the near-term. 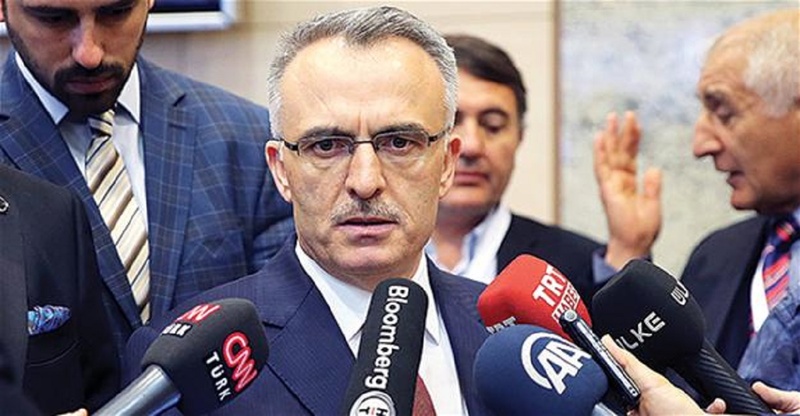 's rate hike adequate since the Turkish lira could not continue to retain gains," he said and added that if the lira continues its negative trend and swamped in volatility, the CBRT might need another emergency meeting before June 7. Erkan underscored that the CBRT should preserve an active role to protect. "The best action the bank might take is to introduce simplification of the monetary policy. The simplification will create a positive impact on tightening, predictability and credibility," he said. Erkan recalled that Turkish lira swap interest rates exceed 17.50 percent and the central bank's late liquidity window rate is 16.50 percent, below the market. Therefore, the central bank might take more action at its scheduled meeting on June 7. He also underscored that the statements from the government regarding Turkey's commitment to the free market rules are the kind of messages investors want to hear and pointed out the importance of Deputy Prime Minister ?im?ek and CBRT Governor Çetinkaya's meeting in London in the upcoming days. QNB Finansinvest Chief Economist Burak Kanl? 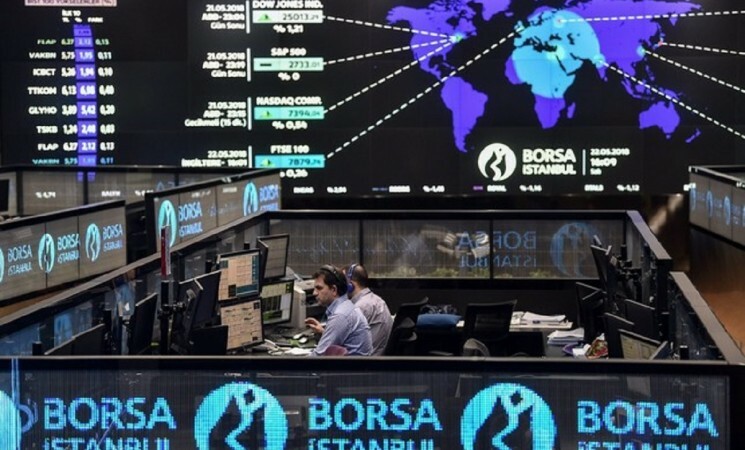 said the volatility in the U.S. dollar/Turkish lira exchange rate in yesterday's session stemmed from the moves of local investors and the demand of local corporations. The recent developments in the currency rates have deeply affected companies with foreign currency debt. The fall in the dollar after CBRT's decision might have been sees as an opportunity to compensate for open positions. Kanl? also stated that CBRT's decision was perceived positively by the markets. 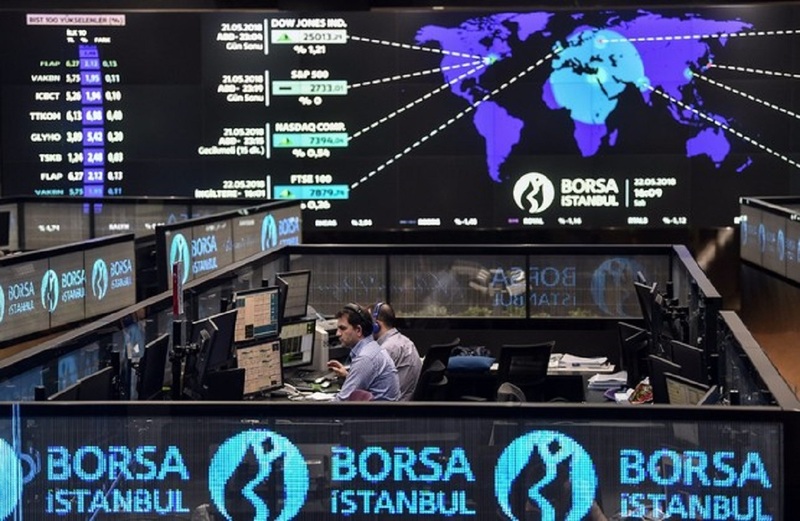 However, investors' concerns over the recent economy decisions and the economic policies that will be implemented in the post-election period have distorted the perception of the Turkish economy, which affected the weakness in the Turkish lira. Therefore, gains of the lira do not seem permanent, he added. "But investors ask for an independent central bank that implements a simplified interest rate framework and takes decisions ahead of the market," Kanl? stated, drawing attention to the necessity of a fiscal policy focusing on budgetary discipline aiming to boost investments and productivity, not inflation. Recalling the supportive statements from the government concerning the dedication to free market, Kanl? said this discourse conveys two messages for the post-election period. The first is the government's commitment to free market economy and an independent central bank. He added that the market would want to see concrete steps for the structural reforms in the post-election period. U.S.-based investment banking giant Goldman Sachs said the 300-base points interest rate hike of the CBRT will only compensate for the depreciation of the Turkish lira since the bank's last monetary policy committee meeting on April 25. Goldman Sachs highlighted that the effectiveness of the central bank's move could be rendered permanent and stable by the support of the fiscal policies and the market expects another hike from the CBRT at its scheduled meeting on June 7. Wells Fargo Currency Analyst Erik Nelson said that without more concrete and sustained signs of central bank commitment to bringing down inflation, the Turkish currency will likely remain under pressure going forward and emphasized that more commitment to deal with high inflation will be needed over the longer term. Wells Fargo estimates that the U.S. dollar/Turkish lira rate will end the second quarter at 4.3, citing some upside risks. Commerzbank analyst Tatha Ghose said in a report yesterday that in the medium term, rate hikes are not likely to help the lira, given the still-widening current account deficit and apparently low sensitivity of inflows to interest rates.